What does “social-first” content really mean? 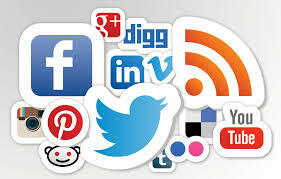 Content distribution across platforms like Facebook and Twitter has become an absolute necessity for publishers. Instead of focusing on driving clicks to their own websites, publishers are now vying for their audience’s attention on native platforms where the competition is stiff. Audiences are hungry for video and becoming accustomed to seeing it in their feeds, particularly with the introduction of auto-play. Video posts average 62% more engagement than photos (source). 75% of Facebook video views occur on mobile devices (source), so video content needs to work on small screens. Test length, subject matter, captions, branding and other variables to find the sweet spot for your audience. While Facebook made a big to-do about Instant Articles being about a better experience for users, and not about taking power from publishers, the fact is it does indeed provide a better experience. No one likes scrolling down his or her feed, clicking on a post only to wait while it loads—if at all. Publishers say it’s getting easier to make money from Instant Articles, so why not give it a try? It’s now open to all publishers. Chances are your Facebook and Twitter audience is viewing your content on mobile, so focus on content that can be digested easily and on-the-go. Incorporate snack-able, eye-catching content such as video clips, GIFs, and infographics. Naturally, users will gravitate towards native content published in their feeds, so ask yourself which is more important–clicks or eyeballs? The right balance might be a combination of both. It’s a phrase said and heard too frequently, but the only way to know what will work for you is to give it a try, while remaining true to your brand. There’s simply no one-sized-fits-all guidebook to producing engaging content. Some brands have shared their best practices, so articles like this one from Buffer Social are a good place to start. Explore social listening tools to learn what people are talking about and when relevant topics, or your brand, are mentioned. Publishing platforms like Social Flow will even optimize your posts and Tweets to ensure they go out at the best time for your audience: when they are active and when the topic is trending. Since Instagram rolled out self-serve ads last year, marketers have been flocking to engage potential customers on the photo-sharing app. It’s no surprise, given the success of its parent company, Facebook. Instagram ads became successful so quickly because it’s easy for advertisers to get up and running. Advertisers can set up Instagram campaigns from Facebook’s ad interface, and the same targeting options and ad formats are available. Most advertisers are already familiar with and comfortable with Facebook Ads, and since Instagram is an extension rather than an entirely new ad product, advertisers are more eager to give it a try. Another important success factor is the ad format. Instagram is a full-screen mobile experience, and the ads follow suit. Rather than getting stuck in a sidebar or in a tiny mobile banner, brands get enough real estate to capture attention and tell a story. Instagram is a mobile product, and its ad experience lends itself well to mobile devices, unlike some other sites and apps that try to squeeze entire desktop web experiences (and ads) into a tiny screen. Instagram has been quick to give advertisers what they want, particularly with mobile video ad opportunities. Most recently, Instagram rolled out 60-second video ads. The previous max was 15 seconds, which is pretty limiting, and advertisers were keen for more time in front of viewers. 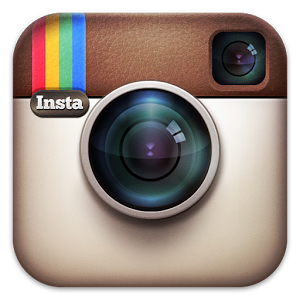 However, there are still some issues preventing Instagram from becoming pure gold for advertisers. Because Instagram is traditionally a non-click environment, the platform has been cautious about rolling out links beyond the call-to-action buttons in its ads. That’s why you see so many brands and promoters referring to the links in their profile – users still can’t post clickable links along with their images. The only way to drive Instagram users to a website is through click-to-web ads, which are far more expensive than Facebook or Twitter. But even though Instagram is only pay-to-play, advertisers seem to be willing to pay up. Instagram is in growth mode and has captured advertisers’ attention. It will be interesting to see what they roll out to keep advertisers happy in 2016.